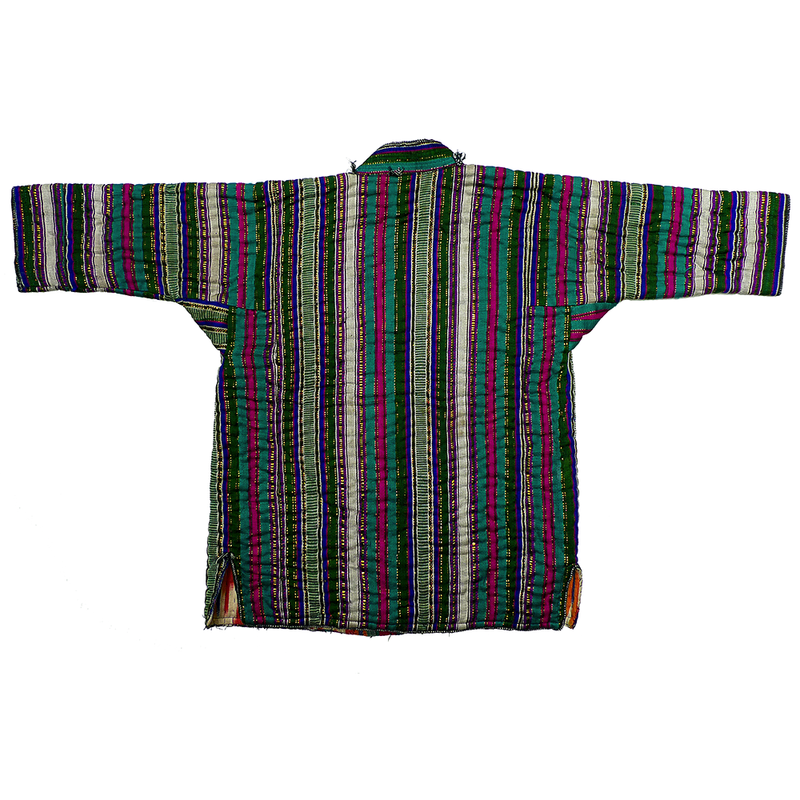 This cute little robe was made for a young boy. 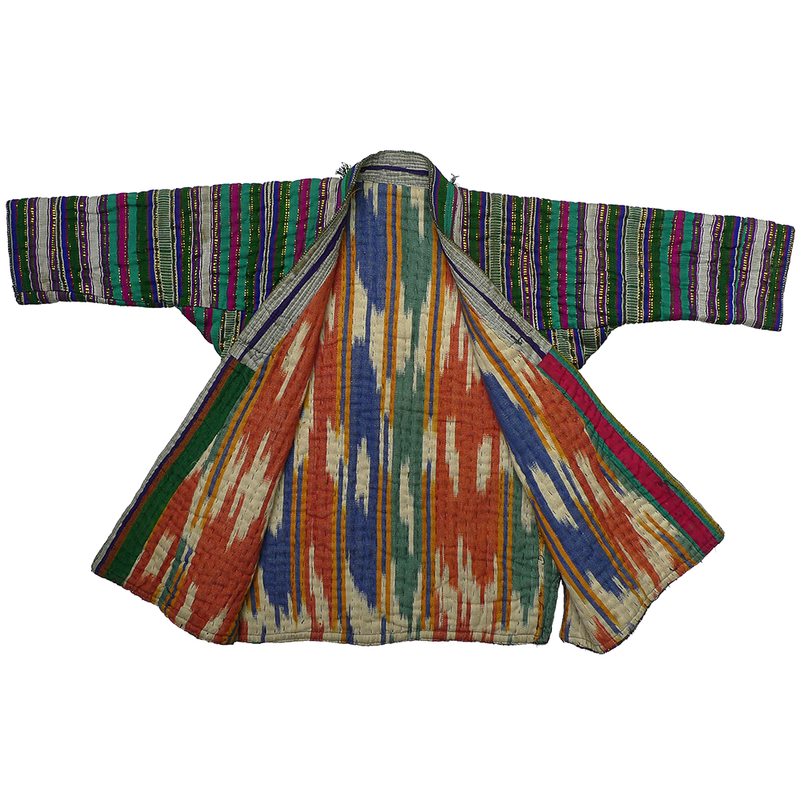 The bekasab striped material was machine-made; the narrow edging was probably handwoven; and the faux-ikat was most likely produced in an Uzbek textile combine. 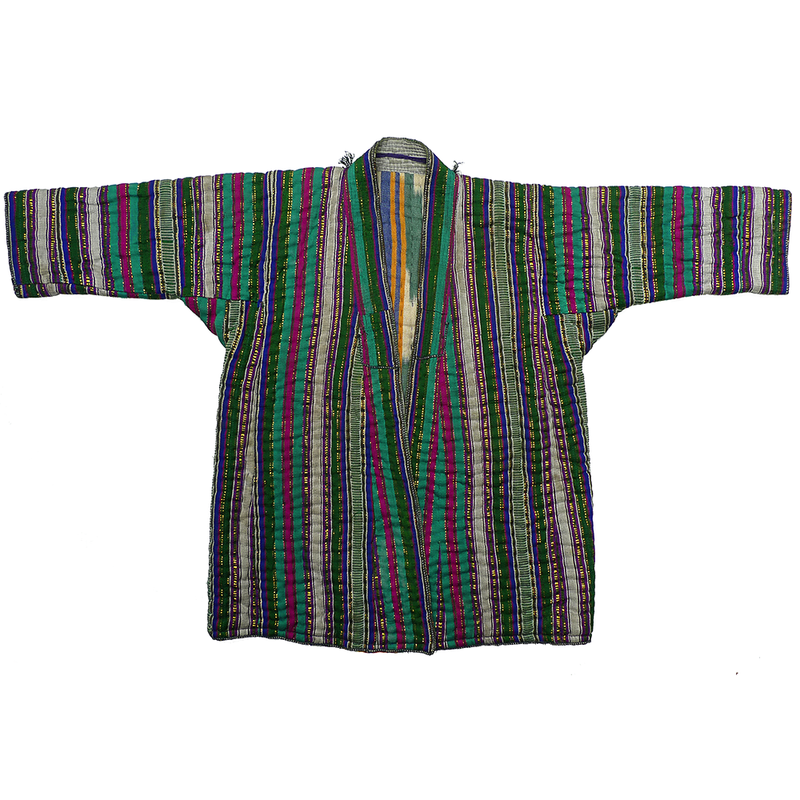 If you are interested in this child’s robe and would like more information please contact Susan Meller.